What is a Morkie? 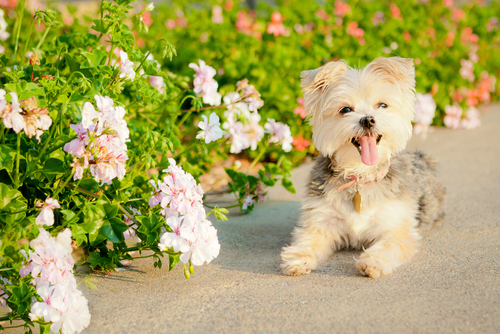 A Morkie is a happy-go-lucky cross between a Maltese and a Yorkshire Terrier. These tiny, adorable pups absolutely love to be around people! While Morkies might look like stuffed animals, theyre full of boundless energy and playfulness. In terms of appearance, Morkie puppies might take after either parent. Some Morkies look like Malteses: they have fluffy ears and long, silky fur, and their short tails tend to curl upward. Morkie dogs tend to have a mix of black, brown, and light brown fur (like their Yorkshire Terrier parents), but their fur can also be white, black, and brown. A Morkie puppy looks like it could also be called a teacup Morkie these pups are born tiny! With gentle training and plenty of attention, Morkies can become amazingly loyal family companions. However, Morkie temperament tends to be happy, affectionate, and friendly. 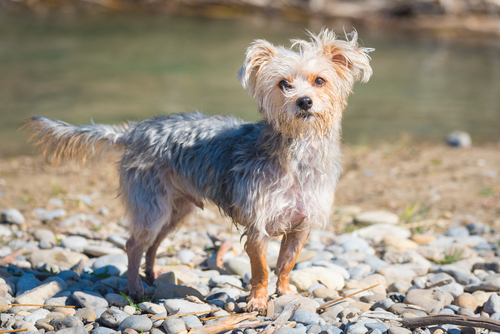 As long as they have been socialized as a puppy, your Morkie dog will get along well in a home with other animals. And with their adorable faces, itll be easy to socialize your Morkie puppies! Morkies love to be played with, but because theyre so small, theyre not ideal for homes with small children. Morkies require plenty of attention, so this pup wont enjoy being left home alone for long periods of time. Theyre indoor dogs that will love chasing toys and snuggling in your lap! Otherwise, a bored Morkie can easily become destructive, and they may even bark incessantly. 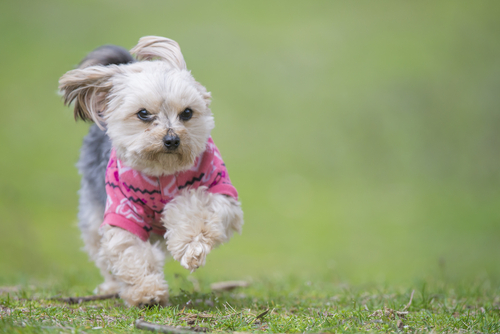 Keep your Morkie happy by giving them plenty of attention and room to roam while a fenced yard is always ideal, these pups can thrive in an apartment or urban setting. Plan on brushing your Morkie at least two times per week to keep their soft coats from tangling, and give them a monthly bath to keep their coats healthy. Bred in the United States, these pups were intended as small lapdogs. Their friendly temperaments and energetic personalities make them ideal family companions, and theyve surged in popularity in recent years. Are you interested in Morkie puppies for sale? Find a reputable breeder in your area using our breeder directory!